Though it started out as a big secret, the fact that Harry Potter creator JK Rowling published a mystery novel under a pen name earlier this year didn’t stay secret for long. 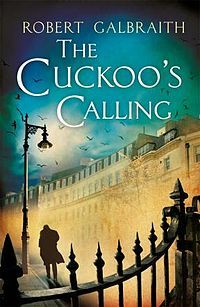 The Cuckoo’s Calling was published in April under the name of debut detective novelist, Robert Galbraith. Sales of the novel have escalated since the author’s true identity was revealed by The Sunday Times over the weekend, leaving bookstores everywhere short of stock.